Microsoft held their Tech Ed North America IT and Developers Conference this year at the George Brown Convention Center in Houston, TX. The week-long event was streamed live on Microsoft’s Channel 9 website. Freeman Audio Visual produced the event, and Microsoft’s Andres Coulter and Golnaz Alibeigi produced and directed the daily broadcasts. They did a great job, and made sure our week together was entertaining and enjoyable. 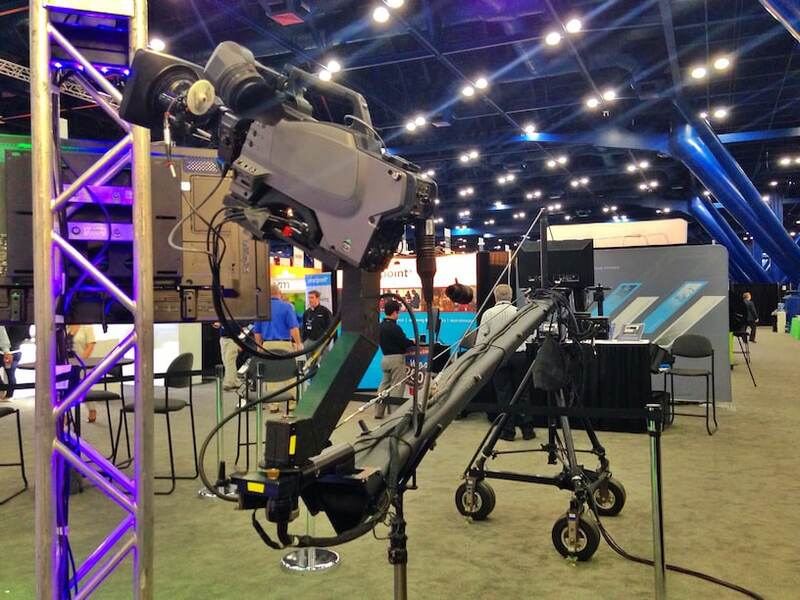 The Channel 9 Studio was set up on the main exhibit floor, and included 2 robotic cameras and a jib. 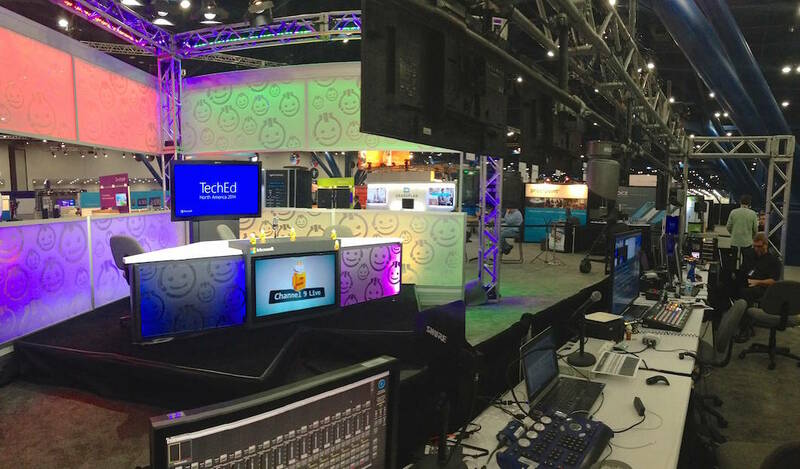 The content was streamed using NewTek’s Tricaster. The Human Jib was hired to set up and run our 15ft Jimmy Jib for the news segments, video podcasts, and special interviews at the Channel 9 studio. Several shows throughout the week attracted a live audience, and would occasionally be welcomed to interact with the hosts while live on the air. 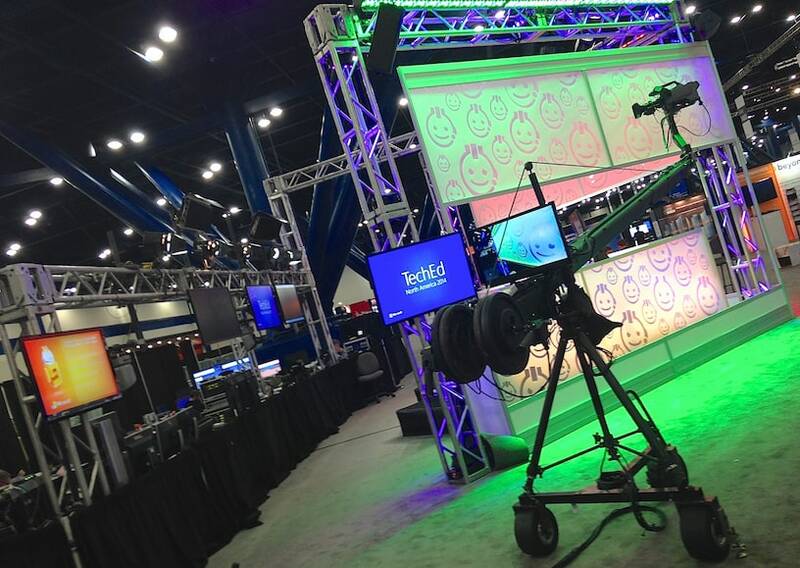 We over-slung the remote jib head to gain a little extra vertical clearance over the truss while still maintaining a relatively small footprint. We mounted a Sony HXC-100 triax camera with a Canon wide-angle lens. One of the things we enjoyed most on this shoot was the spectacular food. 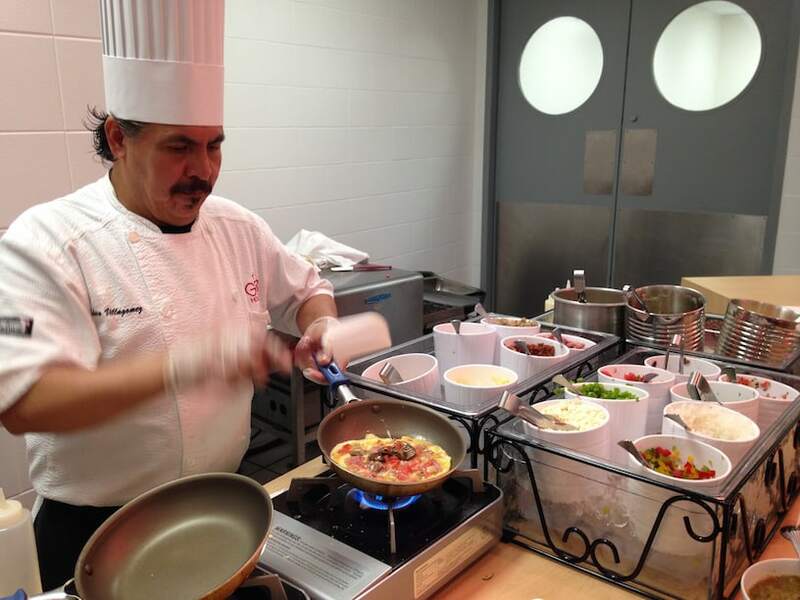 Each meal was chef-prepared, and the menu included a variety of options to accommodate everyone’s cravings. Recordings of the shows can be viewed on the Channel 9 Website. How Do I Become a Camera Op or Jib Op? How Much do Camera Ops and Jib Ops Get Paid? How Long Does it Take to Set Up a Jib? Do You Provide Your Own Cables? Does The Human Jib Have Insurance? How Safe is a Jib? Why Should I Hire The Human Jib?